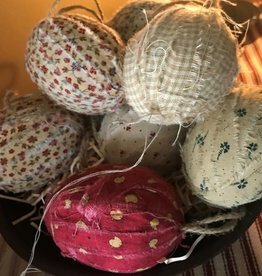 Eggs - Between Us Sisters, Inc.
You will receive a cello bag containing 6 homespun fabric wrapped Easter Eggs. You can either hang them or snip the jute and use them in a bowl. You will receive an assortment of the colors shown here.